Gone from Indiana for many years, wild turkeys have been successfully reintroduced and are flourishing well. 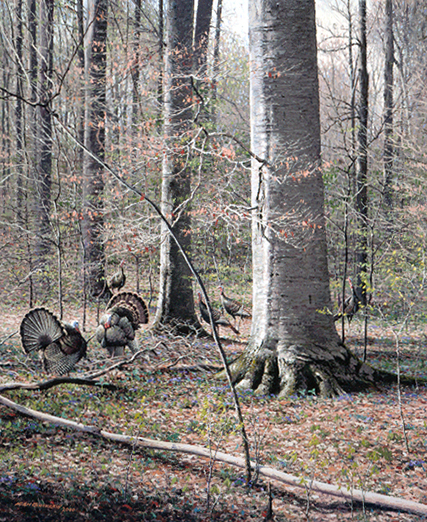 Among the giant beeches of Hoot’s Woods, Owen County’s only virgin forest, two adult gobblers size each other up while immature jakes observe an ageless spring ritual for breeding rights. Published December 9, 2013 at 427 × 522 in Artist’s Favorites Gallery.